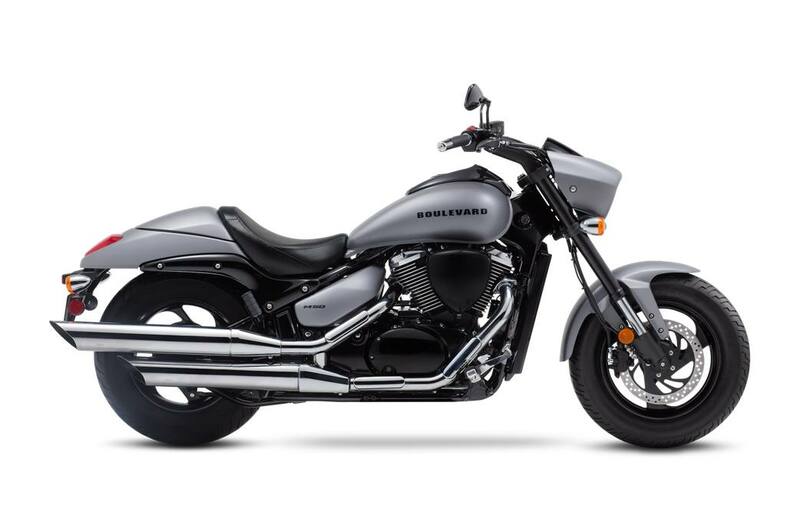 The Suzuki Boulevard M50 is a muscle cruiser with sleek, yet powerful styling that includes slash-cut mufflers, a hard-tail look, and drag-style bars. The distinctively shaped headlight nacelle presents a look that's uniquely Suzuki. Wherever you ride, the M50 offers responsive handling and an exceptionally comfortable ride, thanks to its inverted forks, smooth, single-shock rear suspension and ideally designed saddle. Its 50-cubic-inch V-twin engine with advanced Suzuki fuel injection is equally impressive, producing a load of torque for strong acceleration in every gear. New Metallic Matte Fibroin Gray paint and graphics amplify the Boulevard M50's muscular look. The headlight nacelle, short risers, and drag-style handlebar form a distinctive Suzuki style that telegraphs the M50's performance intentions. Smooth black finish on the engine and air cleaner covers complements the muscular presence of the V-twin's finned cylinders. An automatic Idle Speed Control (ISC) system eliminates the choke and shortens the engine's warm-up time. Cutting-edge 3D-mapped digital ignition system using a throttle-position sensor helps boost the hallmark big V-Twin's down-low torque. Large 300mm front brake rotor and rigid caliper bring strong braking performance to match the engine's output. The modern instrument cluster, including a fuel gauge and a clock, is neatly integrated with the bike's uniquely Suzuki headlight nacelle. Bright, multi-reflector headlight and a LED tail light that's performance-inspired match the tail section design. Genuine Suzuki accessory options for the M50 include clean-fitting, functional saddlebags. More Genuine Suzuki Accessories for Boulevard owners are available, including a large selection of Suzuki logo apparel. 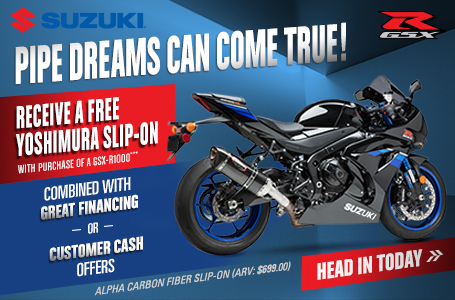 Warranty: Longer coverage periods with other benefits available through Suzuki Extended Protection (SEP). 2019 Suzuki Suzuki Boulevard C90 B.O.S.S. 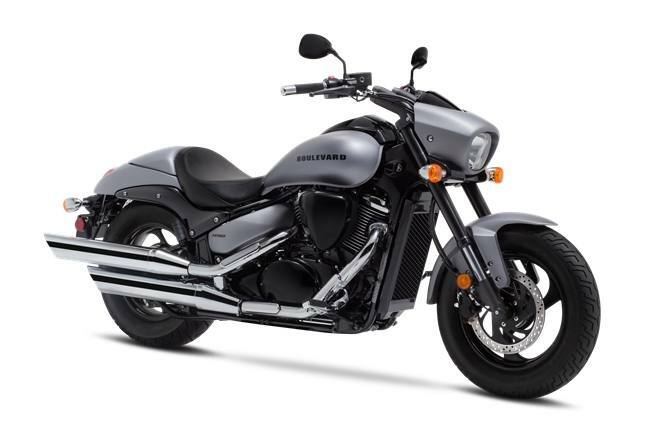 2019 Suzuki Suzuki Boulevard M109R B.O.S.S.